P4C is a regular activity so that the children develop their skills and understanding over time. The role of the teacher is crucial to ensuring quality dialogue and progress, as well as integration with the curriculum. It is well documented that P4C has an impact on children’s cognitive, social and emotional development. P4C is about getting children to think and communicate well; to think better for themselves. 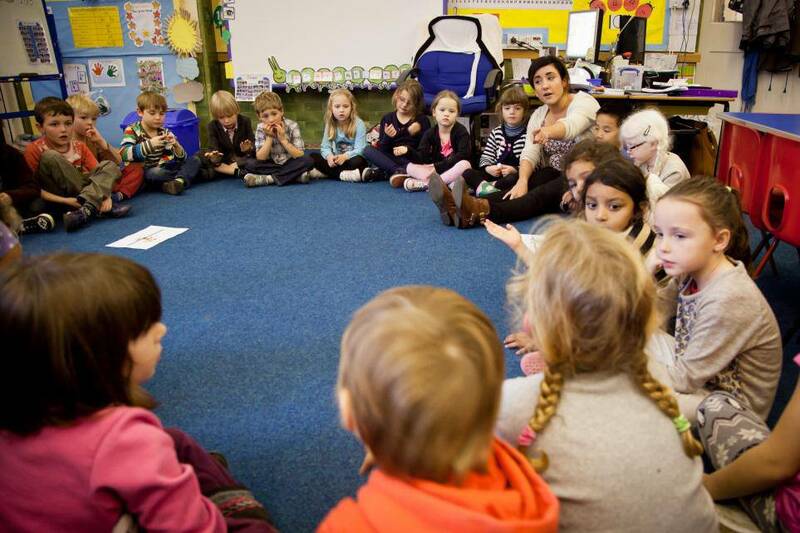 P4C is a thorough pedagogy with considerable academic pedigree. Professor Matthew Lipman, frustrated by his students lack of engagement with learning and thinking, was influenced by educationalists and philosophers such as Vygotsky, Piaget, Dewey as well as the tradition of Socratic dialogue. A Community of Enquiry is a group of people used to thinking together with a view to increasing their understanding and appreciation of the world around them and of each other. P4C focuses on thinking skills and communal dialogue (‘philosophising’), and aims to build ‘communities of enquiry’ where participants develop the 4Cs: creative, critical, caring and collaborative thinking skills. A key aspect of the teacher’s role is to try and get the most from each of the stages of a Community of Enquiry.. Philosophical dialogue (PD) differs from everyday discourse in at least two crucial ways. First of all, PD is hallmarked by a search for truth and understanding which may not feature in classroom chat. There’s a sense of investigation at play; the search for refined, challenged, and extended views or concepts. Everyday discourse – talking about the pleasures of a holiday or the weather in Tibet, for example – does not necessarily include such a search. Secondly, PD requires a degree of structure and rigour to work well. A search for something is usually much more effective when it’s organised! We can all wonder about things, but in PD this wonder needs to lead to some sort of progression. Different ideas can be aired and shared, but at some point participants need to engage with and develop them further. After the philosophical dialogue, pupils should be able to reflect and identify an advance of some sort: a developed idea, a new question, another perspective, or simply an appreciation of complexity perhaps. There are ten key elements the teacher can introduce to elicit a considered response. As children progress through the school so does the complexity of their thinking and their ability to organise their thoughts. Children are able to apply their skills across the curriculum and as a result expand and deepen their learning and the learning of others considerably..